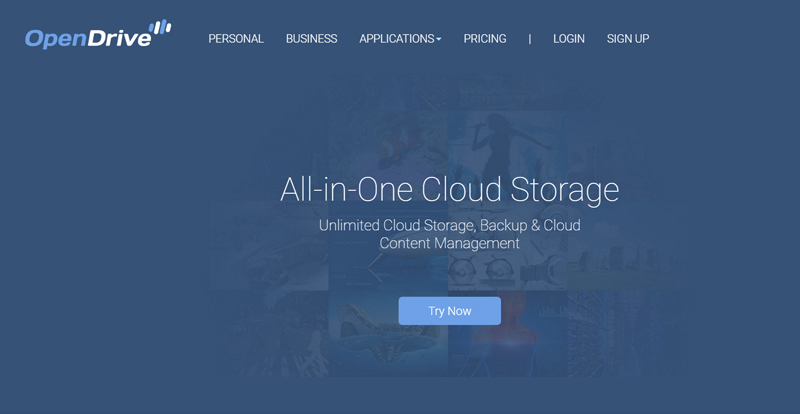 Cloud storage is becoming more and more popular. 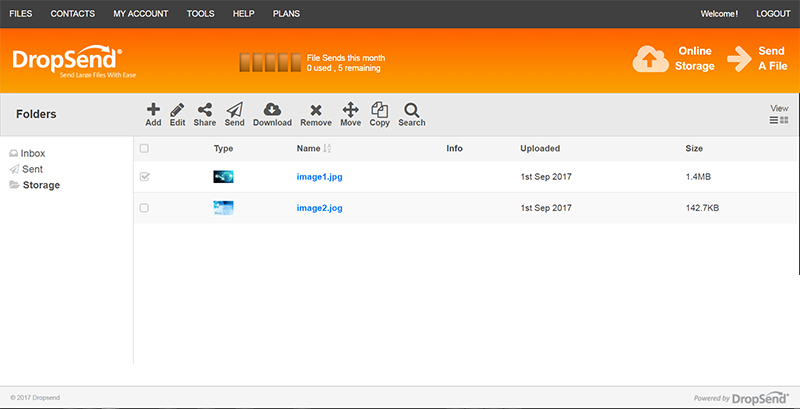 Here is an update on all the best file hosting and filesharing websites in 2017. There have been some updates, and some new changes. Some have raised their prices, others have lowered, some of stayed the same. There have also been many new small individual startups, but those websites seemed too amateur and the newness makes it unreliable if they will be around long enough to be a reliable place to store your files. 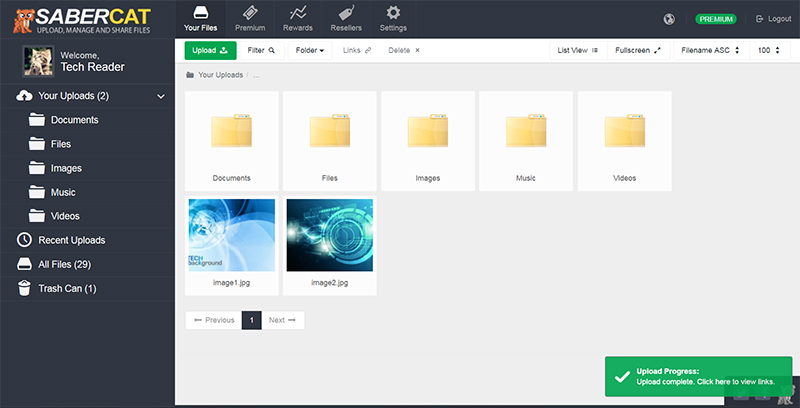 Therefore, we have included 20 of the best file hosting websites. This year, we added some new metrics which include an easy-to-read bar displaying whether each service has a free account or just a free trial, whether it has an affordable Premium file hosting service, and whether the Premium service allows unlimited uploads. Our metric for whether a service was deemed “affordable” was $8 or less per month for a good Premium plan. If the Premium plan which is under $8 only offers very low storage (like only 500GB at $5, which is very expensive), then we displayed this as not affordable. If it has a Business or Enterprise plan which is ultra-expensive but that is the only way to get unlimited file hosting storage, then you will see it listed as “Unlimited Business Plan” or “Unlimited Enterprise Plan”. For our rankings we are taking into account the newness of the file hosting website, ease of use in uploading and sharing files, design and quality, speed and stability, and the legitimacy of the provider. For example, even though ShareFile is a relative newcomer to the file hosting scene, it was designed by Citrix, a well known brand, and therefore it has a higher chance of staying in business despite its newness. However, because it is so expensive and has major security issues, it was ranked low on the list. 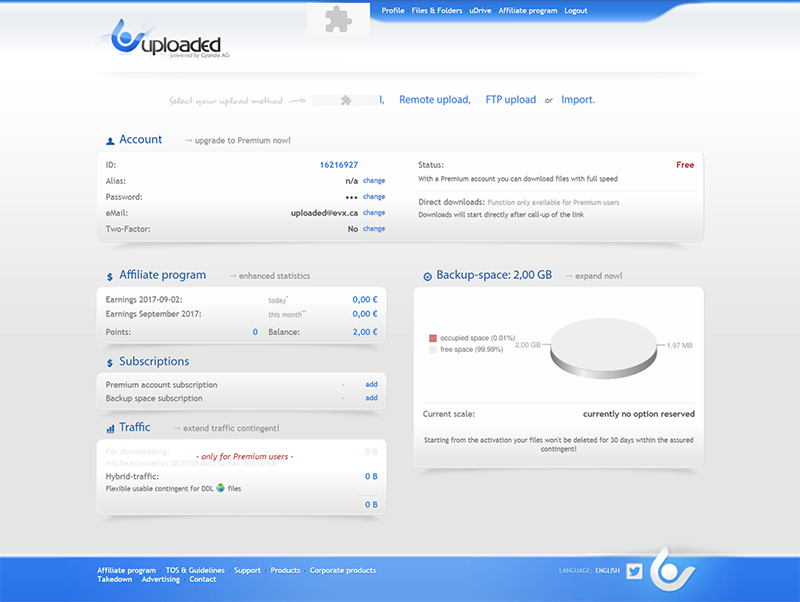 We also included a screenshot of both the home page and the file hosting admin panel. We hope you enjoy our 2017 file hosting rankings! We have done extensive research over many months to discover and discuss this top 20 file hosting website list, including creating and using an account with every single service so that we can reliably tell you about each of these file hosting websites. 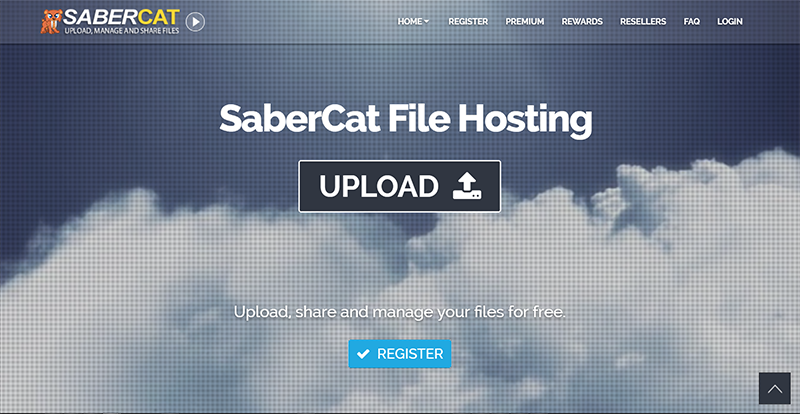 REVIEW: SaberCatHost offers 5GB of free storage space and very fast uploads and downloads. Their upload and download speeds are as twice as fast as last year. The Premium plan and Business plans allow you to upgrade to unlimited storage with unlimited bandwidth. The interface is clean and easy to use, and works well with both web and mobile devices. You can use the site even without creating an account which is great. The Premium plan also allows up to 10GB file upload size. The Business plan allows 30GB maximum file size, the largest we have seen on any file hosting website, which is very generous and allows you to upload any file you want. It is also very easy to create an account by simply using your Facebook, Twitter, or other social account. We can’t see any downsides to this service and highly recommend it. 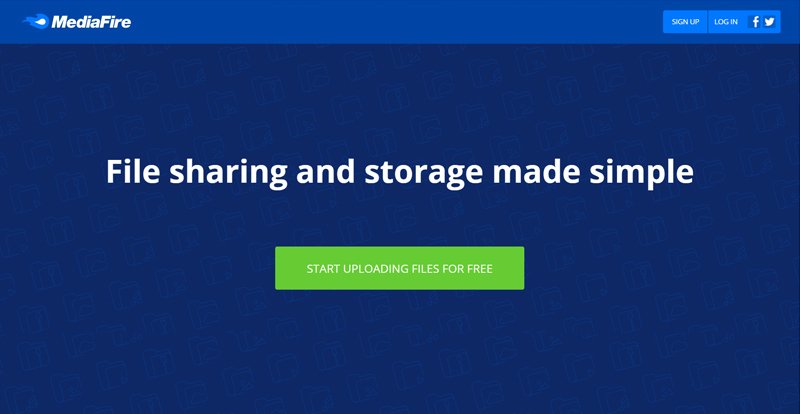 REVIEW: Zippyshare doesn’t appear to have a limit to how many files you can upload. 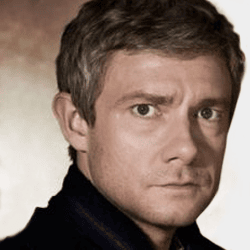 The catch is that you can only upload up to 200mb file size, and all files are removed after 30 days. Additionally, there doesn’t appear to be a premium option to keep files for longer or increase file size. As a result, there are limitations with this service. It seems the site is funded by obtrusive, tricky ads on the download page. This means that your downloaders might be tricked to click on the wrong download link that might take them to a virus, adware, or unwanted advertising page. Since last year, Zippyshare has improved. It no longer has the antiquated flash-heavy uploader which means it will work better on mobile devices now. However, there is still no mobile version of the site so it is not compatible with most smartphones and small mobile devices. Even though there is no premium and a limitation of only 30 days to keep files, we like Zippyshare a lot more, if you can get past the antiquated design and obtrusive ads which there is no way to remove since there is no premium plan. 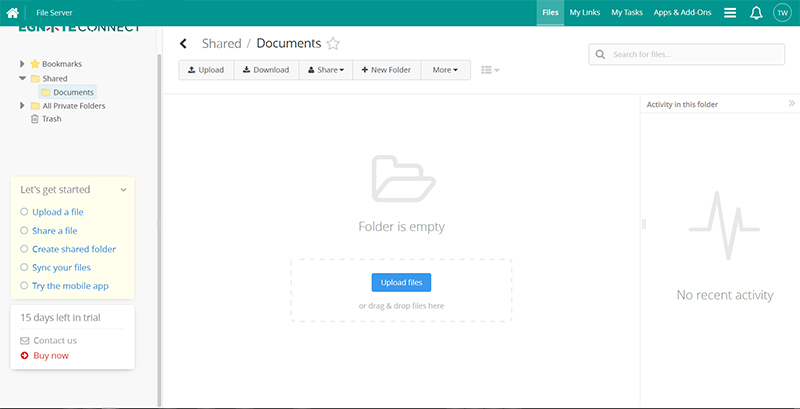 Overall Zippyshare is a viable service for temporary file sharing but not practical as your sole place for file uploading. REVIEW: The home page of 4Shared has changed a lot over the last year, and the functionality of the site has also improved since last year. 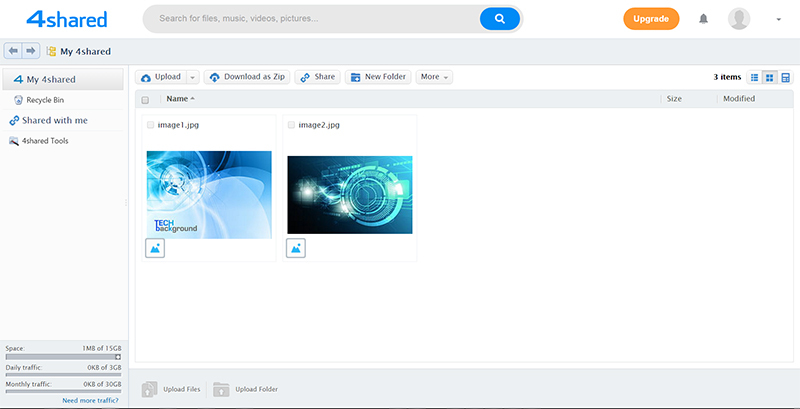 Unlike other file sharing websites, all the files uploaded are available for search. Some other websites could have this capability but choose not to for privacy reasons as well as copyright reasons. Unlike before, 4shared now has a nice back end interface that is very user friendly. While 4shared does offer 15gb of storage space, really this is basically useless because it only allows 3gb per day of file downloads and 30gb total per month (1 gb per day on average) for file downloads rendering it rather useless for anything but archival purposes. This very low bandwidth makes it a necessity to upgrade to premium in order to really use the site for file sharing; but at $10 per month it it expensive, very expensive when comparing with others who do not limit bandwidth per month or day. Moreover, their premium plan is very odd, requiring obscure payment methods or sketchy resellers to buy the premium plan from. For exmaple, you can’t use paypal or a credit card to pay. The reason it is so hard to pay for 4shared is probably because due to copyright issues from the blatant sharing of files, they have likely been denied by every credit card provider as well as every third-party processor like paypal or others. Thus the only way to purchase premium is through an obscure and difficult method. You won’t be able to simply buy it online. 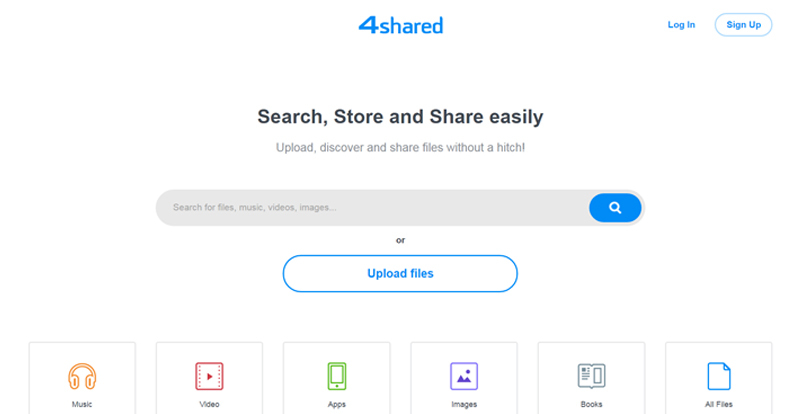 Due to the extremely low bandwidth allottment for the free plan combined with very difficult and obscure upgrade methods, 4Shared seems like more of a place to find files to download rather than a place to upload your own files. 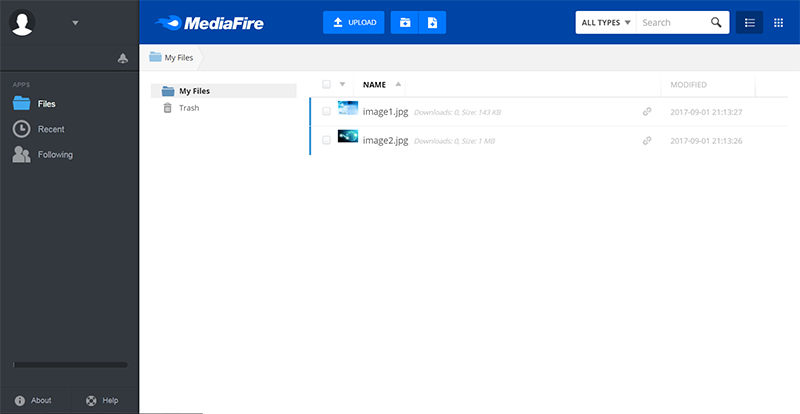 REVIEW: The user interface of Mediafire hasn’t changed much since last year, nor have the features or the prices, which are the same as last year. Unfortunately, Mediafire uses deceptive pricing. It lists a price for 1 year, but this is not correct for 1 month which is nearly twice that price. The Pro plan is affordable, but only offers 1TB of storage, as compared to other services which offer unlimited storage. Even the Business plan is not unlimited, but it is very expensive at $40 per month. There are limited features, it is basically just the ability to upload and download, and that is about it. There don’t appear to be any bandwidth restrictions, but there is no unlimited plan. You cannot use the site without creating an account, and the uploads and downloads tend to be rather slow. It’s not a bad site to use, but there are better choices out there. REVIEW: Mozy is one of several newcomers, and is a part of the computer company Dell. Is it worth using? For starters, there is no free account. However, there is a free trial available. Unfortunately, you cannot sign up even for a free trial without approval. The only way to get it is to give your real phone number and wait for a Mozy representative to call you to set up your account – after collecting a bunch of data on you. Not very user friendly at all. If you provide only your email, you will get an email telling you to call them to set up your 30 day free trial. You are transferred to an annoying automated system and have to press 2 to speak to to someone, but they do answer quickly and are friendly. After waiting to be transferred to someone and refusing to answer their questions about me or my location, the girl friendly transferred me to someone to get the free trial set up. A man answered after about 20 seconds and started to set up my free trial. He asked how much data I would be using. It’s important to note that Mozy is extremely expensive. Absurdly extremely expensive. Just 10GB requires a 12 month commitment of $153.78, and that is the smallest plan. Anyway, he set me up for a mere 50GB plan for the free trial, and after refusing to give him any details except my email, he sent the request to my email to complete the free trial. It took 6 minutes total on the phone to get him to send that email. However, I didn’t receive the email as he set to the wrong person. It was exactly 15 minutes on the phone by the time I got an account setup email. For Mozy, unlike the others it is not a fully web-based interface. You have to install the software on your computer, you cannot upload directly to the website. However, they also have server software for server backups you can install on your server (or linux/unix OS), which, if it was not so ridiculously expensive, would be a really awesome feature. Mozy is not really a file hosting website, it is more of a backup solution. They have an extremely unfriendly user experience; it is nearly impossible to understand even for server administrators. This is definitely not for the average end user. Instead of hosting your files, what you do is install the client on your desktop, and it backs up all your files. They said they are extremely secure and keep unlimited revisions up to 7 years. If you have critical files, this might be good. However, it is extremely expensive, and there are others out there which do the same thing for a fraction of the cost. Here is the pricing; he had to tell me since the pricing on the website was higher. Also, apparently when speaking with your local account rep you can get an even further discounted rate from the list price below. $22,000 per year for 8TB when an 8TB hard drive only costs $300? I could see $1,000 or even $2,000 per year for 8TB with the use of their software and versioning, but 22 grand is absolutely insane. By the end of the 30 minute phone call trying to learn about their system, I felt mentally drained. And I have years of experience with system administration. It is a very complex system they have which is extremely user un-friendly, and it simply is not geared for the end user. Mozy is primarily intended for businesses – businesses who have so much money they don’t care about the insane ridiculous prices. Frankly I don’t know how they have any business at all considering how bad of a system and overall user experience they have. If they were not actually Dell, one of the largest and most well-known computer companies in the world, then there is no way they could even get a single customer. REVIEW: Hightail has changed a lot since last year. They have completely overhauled their UI and now offer a free plan and a business plan. Their pricing has also decreased considerably since last year. In their free plan, there is a 250mb file upload limit. I did find Hightail to be someone convoluted. 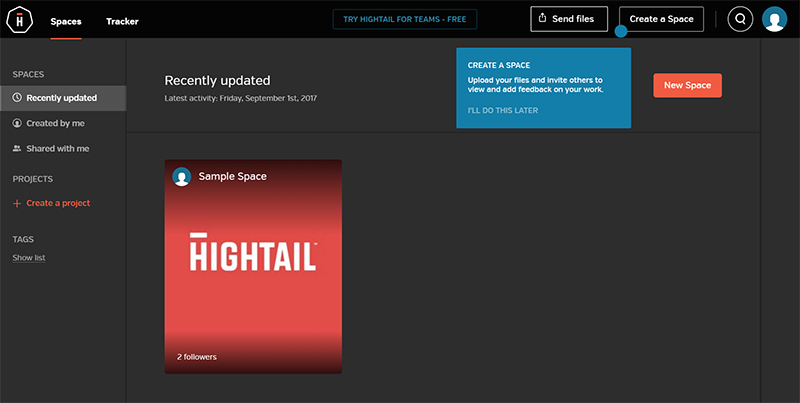 It is clear that Hightail wants to differentiate themselves, and has creates some unusual naming and methodology for file uploads. It does appear they want to discourage routine file sharing. Moreover, this complicated and unusual way of managing your file uploads, such as for example dragging into your “Spaces” is going to be complicated for your average user. It definitely is not intuitive. Their Pro plan comes with up to 25GB files. However, it can be pricey starting at $15 per month, which is more expensive than many competitors. This is the same price as last year. Also, like last year you can pay 12 months in advance for an average of $12 per month. It comes with the normal features, except like the free plan it used their “Spaces” which is unusual. Some people may like it. There is also a Business plan, but the pricing is not listed, because it is expensive. The average user will not be able to afford it. The Business plan (unlike the Pro plan) includes teams as well as custom file size limits on a per-user basis. For example, for the right price you may be able to negotiate a higher upload filesize, although expect to pay out the nose for it. The expensive business plan also comes with 24/7 support, but this also means that the other plans do not come with support. In summary, while Hightail will probably be a good choice for Business users who like its interface, the pricing is just too expensive for anyone other than larger businesses. 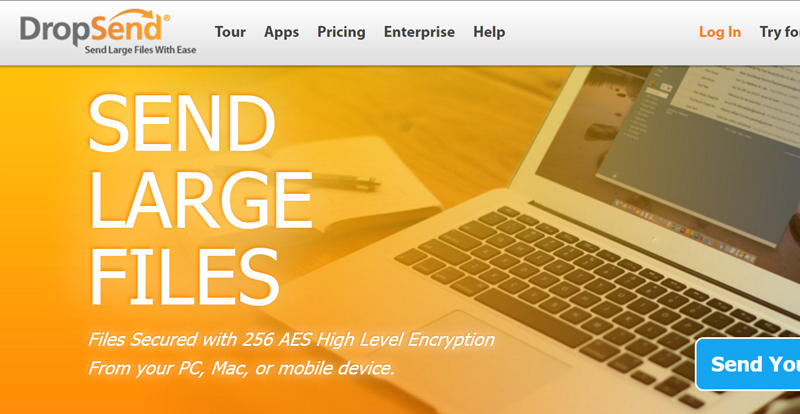 For regular users, HighTail is still very expensive, with the $15 per month minimum for a monthly plan. While the feature set seems to have increased over last year, it is still limited and also their system of “Spaces” can be confusing for the casual user. Other file hosts offer better plans. REVIEW: Egnyte has changed a bit since last there. There is no free account, but there is a 15 day free trial. Unlike Mozy, Egnyte did not take 15 minutes to get an account set up. I had an account and logged in within 30 seconds ready to try out the site. The user interface is clean and easy to use, as well as attractive. However, the uploads are not very fast when compared to competitors. It is not the slowest, but not very fast either. 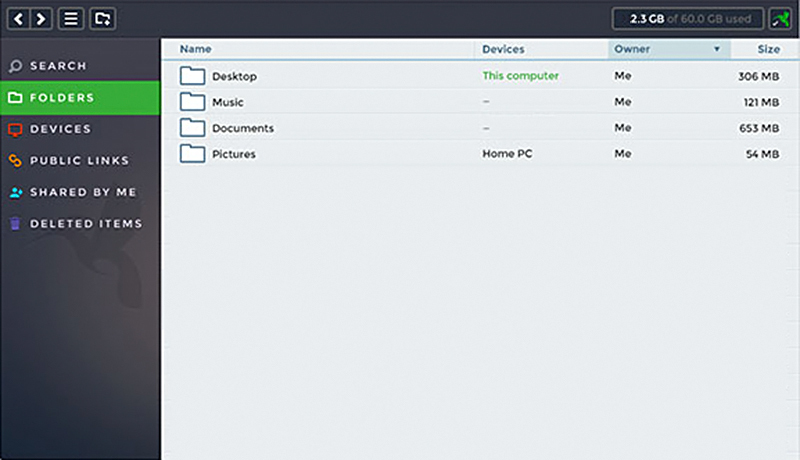 There is the ability to make folders, as well as a separate mobile app. You cannot use the website version on a mobile device as it is not mobile friendly. You must install the app to use it. The pricing is relatively affordable, although there is no unlimited plan. It has some cool features like Outlook and Salesforce integration, although it is pricey at an extra $6 per month for SalesForce integration. Still, it’s neat to have. There is also an “Administrative Package” addon, which includes External Authentication, Multiple Entity Management, and Role-based Administration; but this is ultra expensive at $250 per month. You can also pay for additional users, but it is also ultra expensive at $75 per month for each new user. The Storage Sync feature addon, which can “transform your existing server or storage system into a central collaboration hub, providing file sharing beyond the firewall”, is also extremely expensive at $125 per month. 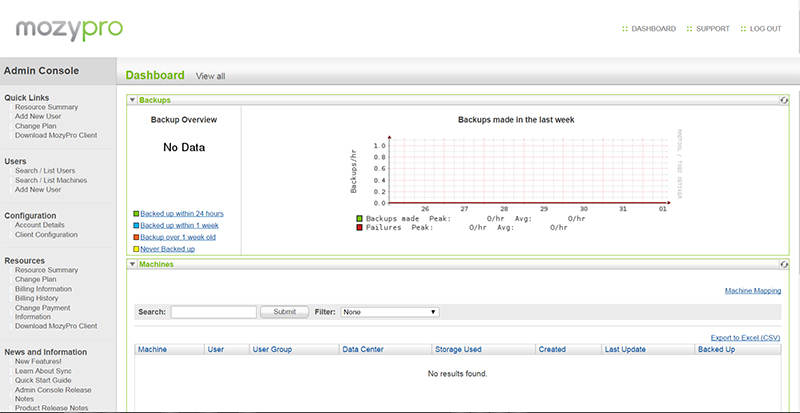 Even the basic plan, which has many useful features, is very expensive at $45 per month for 5 users and 5TB of storage. Overall, Egnyte seems like a good website, but is very expensive. It might be good for business users who don’t mind paying so much for all its awesome features, but is not going to be very useful at all for regular users. Moreover, for the average user they will likely never use all of those extra features, and in that case there are many other competitors who offer much lower prices. 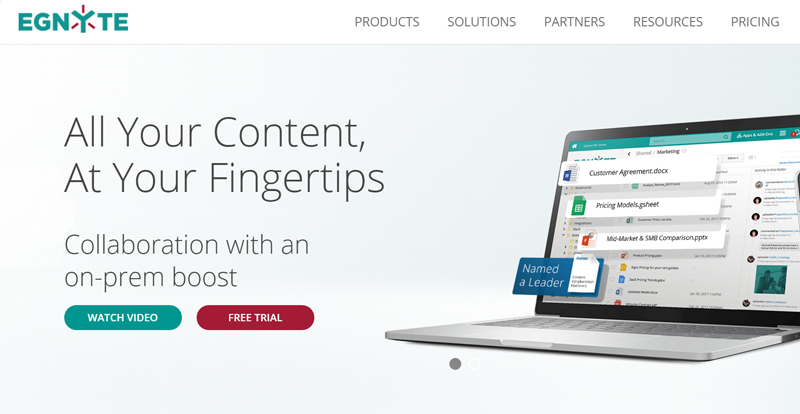 REVIEW: Dropsend is another newer website that unfortunately does not really have a free plan. Their “free” plan has 4GB of storage but only 5 “shares” per month. In other words, it is not enough to actually use, as you can only share 5 total files before having to pay. They advertise to “send large files”, but you have to pay for it. Not only that, you cannot send reall large files, only up to 8GB. Other sites can upload up to 10GB on premium plans, so their “send large files” advertising is really only empty marketing and does not really set them apart from their competitors. While the home page of the user interface is clean and easy to use, it is also very basic. During upload, you have to visit three pages, and there are no panels. It feels like you are back in 1995. Moreover, you get ads while actually uploading files, which is unusual. After uploading, you can’t get back to the home panel. You have to manually visit the website again to get back to home. Oddly the files you are uploading are missing from the home panel. You have to click on the storage link to find the files you uploaded. From there, you can do a couple things, such as download or move to a folder, but not much. Overall, DropSend is not terrible, but it is very basic and not the best user interface. It is not really free, and has no unlimited plan. There are better choices out there. REVIEW: IDrive is pretty cool. I enjoyed the signup with “best name ever” tag when I typed a name into the signup form. However, the enjoyability mostly ends there. IDrive is expensive for their premium plan, and does not have unlimited uploads. After signing up, it downloads their software without asking you. There are some cool features like Sync, although that requires a separate sign in. There is also an integration with Facebook to backup your Facebook profile. Neat feature, something I have not seen elsewhere; but who really wants that? And who still uses Facebook, anyway? Anyone who does should be deleting all their Facebook data for privacy purposes, not duplicating that data onto other services. 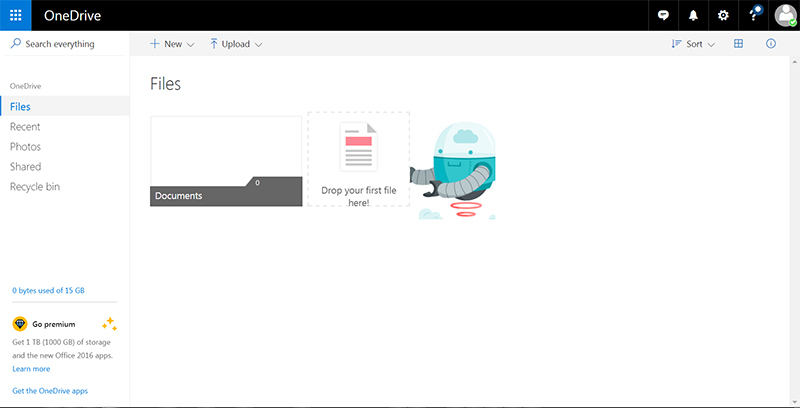 There is also Office 365 integration. That is pretty cool. Unfortunately, it doesn’t save your details yso you can only backup manually and re-authenticate every time. The user interface is also attractive and user friendly. The site is easy to use, although not really mobile friendly. Overall, IDrive is a pretty cool service, but the pricing is too high, and it lacks an unlimited plan. The Business plan which offers the additional cool features is very expensive. Lack of mobile-friendliness leads more to be desired. And the service is pretty new, so we don’t know if we would trust full access to all Facebook or Office365 data just yet. 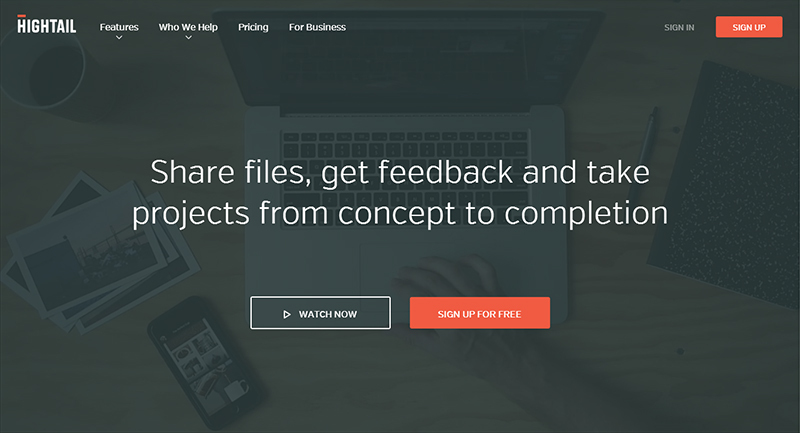 REVIEW: Just like last year, Uploaded still offers only 2GB of free storage space. However, unlike last year, it looks like your files will be deleted after 30 days if you are not Premium. It’s hard to tell though, since it appears the developers do not speak English, for it says this: “Starting from the activation your files won’t be deleted for 30 days within the assured contingent”. This sentence makes no sense at all due to its horrendous grammar and misuse of words (“assured contingent” isn’t even a thing in English), but it appears to mean, your files will be deleted after 30 days unless you upgrade to a subscription plan, and as long as you are subscribed to a premium paid plan then your files will not be deleted after 30 days. Their premium program has improved a lot since last year and is much easier to understand.There are two different kinds of plans. Their premium plan which was previously called “Downloader” is now called “Premium account subscription”; and the plan previously called “Uploader” is now called “Backup space subscription”. At least that is a little more intuitive. It appears they have merged their “uploader” and “downloader” plans into the other two existing plans. The payment methods has also been drastically improved. Before, payment was obscure and strange. It was a disaster. This year, you can simply add a payment method which includes credit/debit card, bitcoin, and two other methods. Much better. However, there is still flash on the upload buttons making it impossible to upload anything from your account page on a mobile device which doesn’t support flash. The upgrade process however is still strange and difficult to understand. It has plans that look affordable, but at second glance you see it has some sort of point system. This point system is unclear. What does a point mean? It doesn’t say. For example, the $6 per month plan has 500 points. Again, what is a point? How do you know if you used up these points? Impossible to tell. After further analysis, it appears that these points have to do with bandwidth, although nowhere does it explicitly state this. There is a maximum bandwidth for premium users of 500GB, which is low. It appears that in order to increase this bandwidth, you have to use points. If you run out of points, you will have to upgrade again – in the same month. Maximum file size is also low. If you want to share a file, a user can only download 1 file every 3 hours (180 minutes). Other hosts allow you to download as many as you want. Lastly, you have to upgrade twice; once for each plan, in order to get all the benefits. If you want more storage, you can upgrade to more storage in the Backup plan, but if you also want faster download speeds, you also have to upgrade to the Premium plan. So now you are paying twice per month. Overall, I have to say that Uploaded did improve a lot since last year, but they still need a lot of work to make the upgrade process much simpler. It seems that someone like a statistical engineer (who barely speaks English based on the poor grammar) was the brains behind this impossible upgrade system that is too complicated and convoluted for the average (or even smart) user to understand.But even a genius couldn’t figure it out, because nowhere does it tell you what their point system means. I even tried downloading and uploading files but it didn’t tell me whether I used any points or not. And because it still uses flash on the upload buttons, it’s impossible to use for most mobile devices. Top this off with very low free storage and multiple premium plans you have to buy to get all the features making it too expensive, and you’ll just have to pass on Uploaded.net until they can finish fixing their site. Note: Where you see the puzzle piece icon it is a missing upload button, due to the upload button being made out of flash. Browsers and devices which do not support flash will make it impossible to upload files on Uploaded. 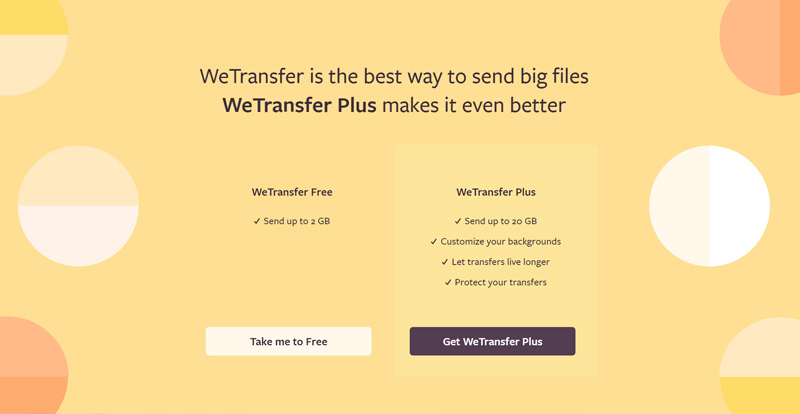 REVIEW: Wetransfer has not changed much since last year. It’s difficult to use, and is unusually designed. It is hard to find what to do or even to upgrade. If you click to WeTransfer Plus you can’t go back, you have to clear your cache or open a new browser to go back to the original home page to choose the free option. If you want an account or want to view your files, you have to upgrade to the Plus plan. 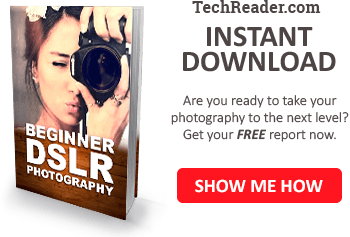 The free version has no dashboard or ability to view, change, share, or delete uploaded files. However, this year they added the ability to password protect files you upload, although this function is difficult to find. Additionally, you can’t use it without paying for a Plus plan. For free, you can only share an unencrypted file via email or get the link. All you can really do with this site is upload a file and get the link or share it to an email. Beware, once you uploaded a file for free, you are not allowed to delete it without upgrading and paying for a Plus plan! This makes for a terrible user experience that may make some people angry. Your files are automatically deleted after 7 days on the free plan. You cannot delete it any sooner, and it does not remain any longer if you wanted it to. Also, some of the giant background art and drawings may be disturbing. In the background of my upload link I just saw a sketch of a man in his under garments looking like he was hugging a human heart removed from the body. Quite disturbing. Refreshing the page gave me a different background image. The paid version, WeTransfer Plus, costs $12 per month or $120 per year, just like last year. This is expensive when compared to other websites, and this isn’t even unlimited upload. It is a very basic website only allowing the additional ability to add a password or delete your file, or keep it for longer. You only get 100GB of storage on the Plus plan. In summary, WeTransfer Plus just isn’t good for free users unless all you want to do is share a link that will be gone in 7 days, and have zero control over that file after you uploaded it. The paid version is too expensive, and the site lacks any features. It has a poor user experience and possibly disturbing background images you and the people you share the link with are forced to see. I would probably pass on this service. What you see is what you get. This is all there is for this site. Seriously. 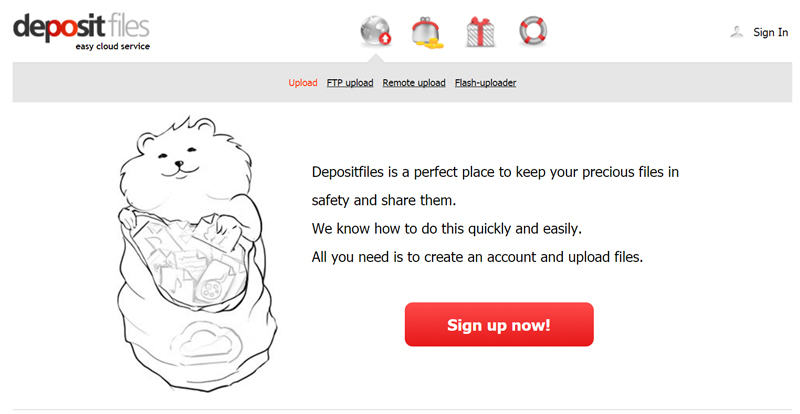 REVIEW: Depositfiles has not changed much since last year. There is still a 50 files limit to free accounts, and your files will be deleted after 90 days. According to the FAQ page, even upgrading to DepositFiles Gold will let you keep your files for longer, because it simply says that your files will be deleted after 90 days.The website is slow and tedious, as well as unintuitive top icons. File uploads are not snail slow but they are not fast either. Their premium plan is called “Gold”, and it doesn’t do much for you except speed up your download speeds and allow you to download more than one file at a time. it is also very expensive, at $12 per month. The site is very simple and basic, and with limited features and limited benefits of upgrading, limited storage space and limited number of files, along with only 90 days to keep your files on the free plan, this isn’t a very good file hosting service. 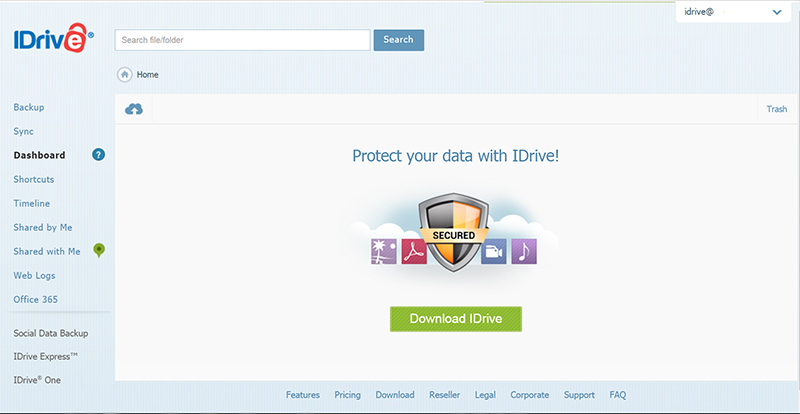 REVIEW: OpenDrive has a refreshingly decent user interface design, although its user experience is lacking. It was difficult to find where to upload a file – still after the first five clicks, the upload button was nowhere to be found. I finally found it, it’s a tiny little upload icon which is unintuitive. The premium plan is also more expensive than competitors at $10 per month or $100 per year. 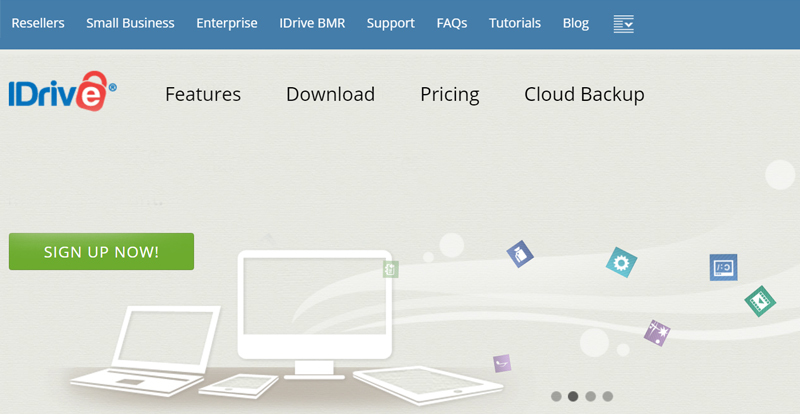 What is interesting about OpenDrive is its notes and projects features. This will make it good for businesses who want to use it for projects, they can host project lists, notes, and files here. While this is a cool feature, there are better collaborative tools for the same or less money which have far more features than OpenDrive. Stlil, it’s neat they have these features. The file uploads were very very slow – the slowest on this list. It took 20 seconds to upload tiny files less than 200kb in size. The site page load speed was also slow. The good news is that at least the site is mobile friendly. While the user interface is clean and cool, the user experience is not very good, primarily because of the very slow website and upload/download speeds. If they speed up their site and lower their prices, it might become a viable competitor in the future. 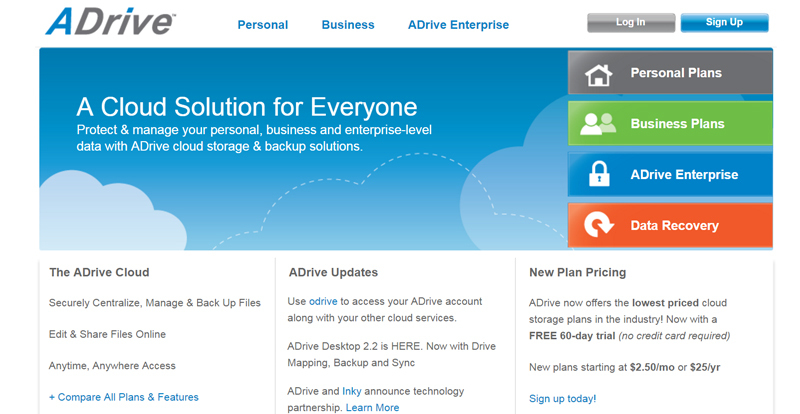 REVIEW: ADrive advertises the lowest cost, but this just isn’t true. For the same amount of storage there are cheaper plans, and their unlimited plan which is their Business plan is more expensive than competitors. They also do not have a free plan, although they offer a 60 day free trial. In fact, their premium is very expensive. While the lowest plan which has 100GB is $2.50, it does not offer much. The 250GB Personal paid plan is $6.25 and for 500GB is $12.50 per month. 1TB is $25 per month, 2tb is $50/mo, 4TB is $75, 5TB is $125, and 10TB is very pricey at $250 per month. The Business plan offers even up to 20TB – for $700 per month. Very very pricey. I found the user interface to be clunky, slow, and outdated. The design is antiquated, slow, and just feels clunky. It is not a great user experience. The design looks like it came straight out of the 90s era when clicking on various pages and trying to use the features and menus. The icons are not crisp, obviously they are the wrong size and upscaled. While a minor complaint, this lack of attention to details indicates much further problems as any designer worth their salt can make a proper size icon. 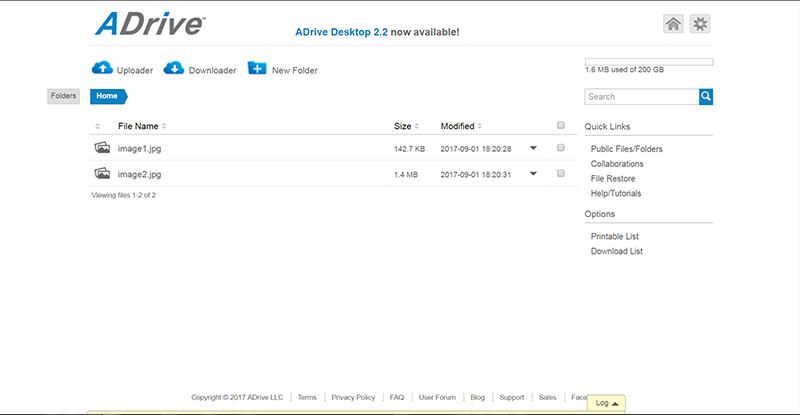 ADrive has a desktop version also, which you can install and sync folders from your computer. However, with the high prices and annoyingly clunky and slow interface, poor user experience, and lack of mobile compatibility, ADrive leaves much to be desired. The only cool thing is the home page – which is also outdated, and not mobile friendly either. I have to say that I was disappointed by this service and expected better. 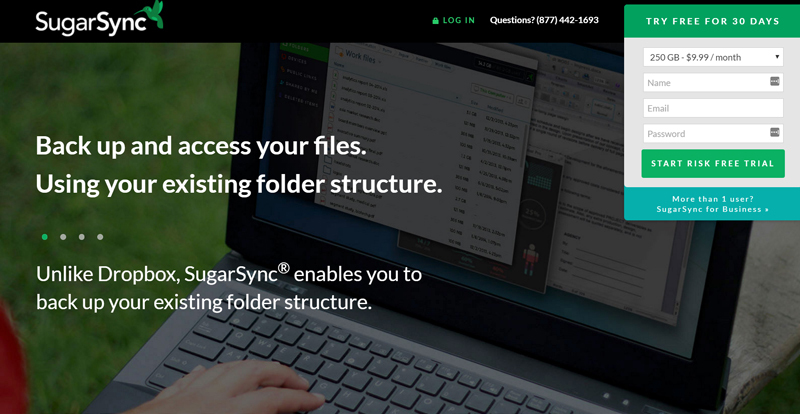 REVIEW: While there is a 30 day free trial for SugarSync, you still have to pay first. You cannot try it out without paying. Additionally, you have to call into support in order to cancel, and then hope that they don’t continue charging your card. SugarSync is very expensive. The lowest plan is 100GB for $7.49 per month, and the highest is 1TB at $55 per month. Pricey. The website functions more as a backup service than a file hosting service. You will need to install a desktop app and then sync the files. While the user interface is attractive, the prices are too high and the features are too few. Overall I would probably pass on sugarsync until they take away the mandatory paywall on their “free” trial. REVIEW: Box is well-known because of all their advertising, but advertising alone does not make a service good. The upload speed is rather slow for such a big service, I expected faster speeds. The prices are expensive at $10 for personal users with only 100GB of storage space, and more for Business and Enterprise plans. 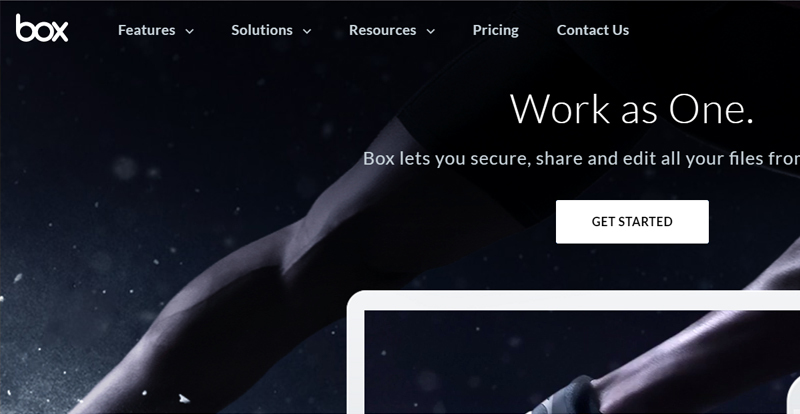 Box has integration with various services including Google Docs, Office 365, and Enterprise Mobility Management, but these are only available for the more expensive Business and Business Plus plans. 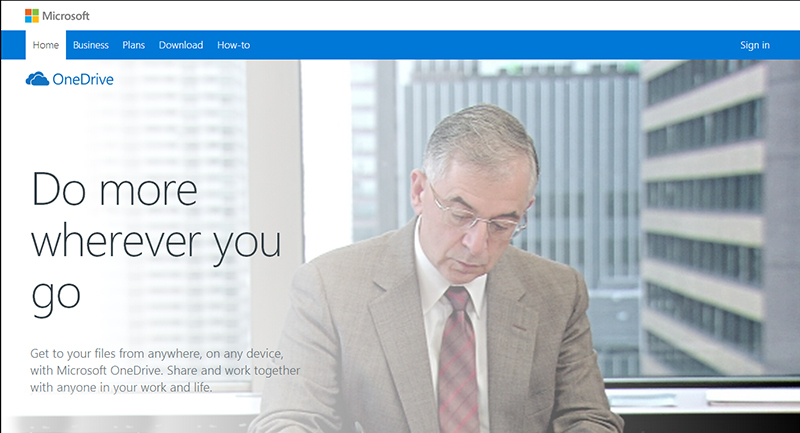 Other Enterprise features include Active Directory & Single Sign On and Mobile Security Controls. The Unlimited plan is only available with the Business and Business Plus plans which begin at $15 per month, much more than competitors. Overall, Box is more expensive than it is worth, and there are better services available. 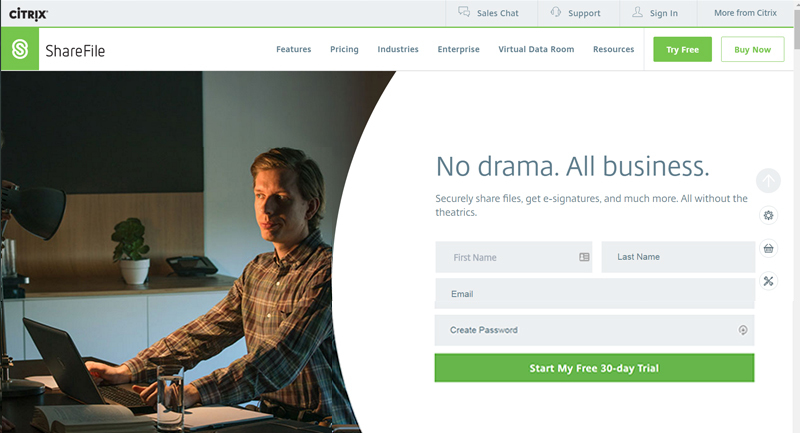 REVIEW: Citrix Sharefile is another newcomer into the file sharing industry. While it does appear geared toward business users, unfortunately it is not a free service, although they do offer a free trial. Sharefile therefore is a paid-only service. In creating an account, it starts to become clear that whoever designed the User Experience (UX) really did not understand today’s web users. For example, they force you to make a password with 1 uppercase letter, 1 lowercase letter, 1 number, and be at least 8 characters long. While this is good practice to do anyway, this makes for a poor user experience. The poor user experience did not stop at that petty annoyance however. Upon creating the account, you are now demanded to provide company information. What if you do not have a company? 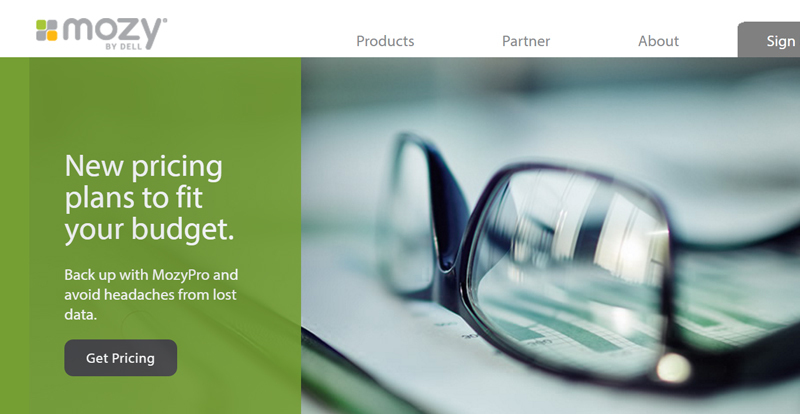 ShareFile did not consider that, because they only made this service for businesses. Also, I found it highly disturbing that the long string URL when logging in contains enough metadata to simply copy and paste the whole string into another browser or even another computer and it does not require you to log in. This is a serious security risk, because if anyone got ahold of your URL when you log in, they do not even need your password to have full access to your account. On the other hand, the UI seems to be very clean and modern. It has unique integrations including integration into Citrix and Microsoft Office, although only on select plans (that is, more expensive plans). There is a really nifty Workflow section which actually may be great for some businesses, if they can justify the cost. The takeaway however is that ShareFile, while being very geared toward business users, just is not what the average users will be looking for. The end user such as yourself will not have any use for the majority of the features, such as Employee Address Book and Citric integrations. However, for some businesses, this may be a viable file hosting solution. REVIEW: Dropbox is overrated. Their popularity is mainly due to their massive advertising budget, not the quality of their service. That said, they have improved their user interface since last year. Now it is cleaner and more modern. Dropbox also has rather slow file uploads and downloads. While the user interface is simpler and more easy to use than last year, it also lacks features on the free and Personal plans that other services offer. There is DropBox Paper which is a collaboration tool, although it is not as rich as full-fledged collaboration websites.You also have to upgrade to the expensive Business plan in order to use it – and this is far more expensive than the monthly cost of collaboration sites which offer many more features. One of the biggest limitations of DropBox is its mere 2GB of storage space in the free Basic plan. Additionally, the free plan does not allow you to put a password on your files either, and your files will be deleted automatically after only 30 days. Overall, DropBox is overrated and overpriced. It offers less features than competitors, at a much higher price. While it has some integration features, you will have to pay out the nose for it. It seems that DropBox spends all its money on its advertising budget instead of developing new and useful features and faster speeds. Other file hosting websites are faster, better, and less expensive than DropBox. REVIEW: One of the biggest problems with OneDrive, like Google, is that if you log in from another IP or location, or if you move or are traveling, you can permanently lose access to your account. If your IP and location do not match, then they will lock you out of your account. If your recovery email is an @live.com email, then you won’t be able to access that either, since you are in a new location and they will lock that also, so that means you won’t be able to get back into your account. This is a huge problem and this alone is a reason to avoid OneDrive. 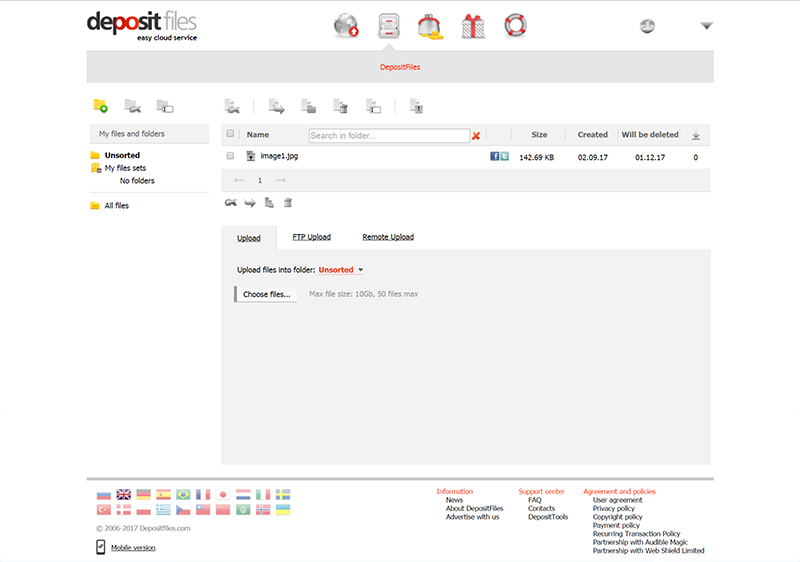 The admin panel is polished, clean, and easy to use, and uploads are fast. However, OneDrive is owned by Microsoft, and Microsoft has full access to all of your files. By using OneDrive, you are giving up your right to privacy. In fact, Microsoft regularly monitors accounts and your files, and if they don’t like what you uploaded they will access your account and delete your files and possibly your account. By using OneDrive, you are authorizing Microsoft to have full access to all your files and your most private information. This includes everything from personal photos to business client lists. This is a huge violation of privacy. Their premium plan is not the most expensive, but at $10 per month is also not the cheapest. Additionally, $10 per month only gets you 1TB of storage, and there is no unlimited storage plan either. Therefore it has failed two of the most critical metrics – affordability and unlimited storage. The only real benefit of OneDrive is that it integrates with Office 365; but that is also a reason to avoid it, because the last thing you want is sneaky Microsoft invading and collecting every detail about your entire life. While OneDrive offers generous storage space on their free plan, and their upload speeds are fast, the privacy issues and concerns about getting locked out of your account because they tracked your location and “didn’t recognize” where you logged in from (they should not even be monitoring this private info), OneDrive is a service that should be avoided by all privacy-conscious individuals. 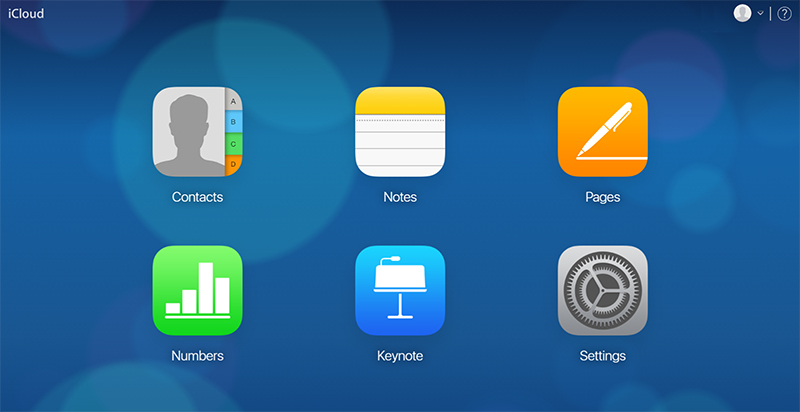 REVIEW: Simply put, iCloud is terrible. With a paltry 1GB of free storage in the free version, it’s hardly even useful at all. 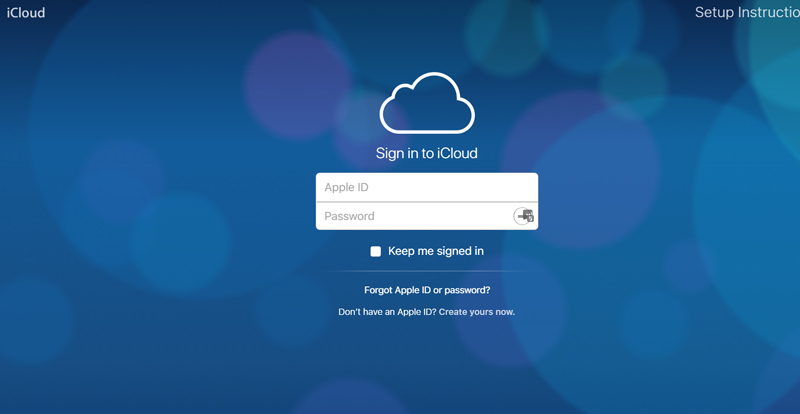 In order to use iCloud, you must either already have an Apple ID or you have to create one, even if you do not even want one. As soon as you register or log into your account the first time, you will be required to accept multiple extensive terms and conditions in order to use the service. This is a big warning sign. It makes sense on one level that Apple wants to avoid all liability. Instead, they pass this liability to the customer; and worse take full control of customers’ data which is a huge breach of privacy, if you take the time to read all these terms of service. The website is excruciatingly difficult to use. The site is very poorly designed, lacking even the most basic file upload functionality. You can create notes, contacts, spreadsheets, presentations, and pages. It has almost no storage functionality with their mere 1GB of storage. Wake up to the 21st century, Apple. There are now 12TB (12,000GB) hard drives out, with 30TB and 60TB hard drives on the way. Why would you only give us 1GB? In Apple’s typical manner, iCloud is structured to offers as few features as humanly possible while creating an exorbitant pricing scheme to upgrade – all while demanding an insane level of control over the user with all their requirements and limitations, and violating as much privacy as possible. iCloud’s pricing is almost the same as last year, with the exception of the former 1TB plan now being 2TB and an increase on the 200GB plan price. You can get a pathetic 50GB for $1 per month, 200GB for $3 per month (an increase from last year’s $2 per month), and 2TB for $10 per month. iCloud is far more expensive than most other options while offering almost nothing in terms of features and usability. It has no unlimited plan, file downloads are terribly slow, the website is nearly entirely unusable, the design is horrendous, the features are nearly nonexistent, and really overall this just is the worst file hosting option on the planet. Due to the exorbitant pricing, insultingly low amount of free storage, crawling upload and download speeds, incompatibility with devices, forced isolation to Apple services and devices, and extensive restrictions that force you to wave all of your rights as a consumer just to be able to use the service, we highly recommend to avoid iCloud at all costs and ranked this last on the list. Really, the only reason we put it on the list at all is because it is Apple, and to provide a contrast showing the worst file hosting website in existence. Thanks for reviewing these, but are there any which will allow me to host files/folders. And then navigate them as though they were files/folder on my local drive? 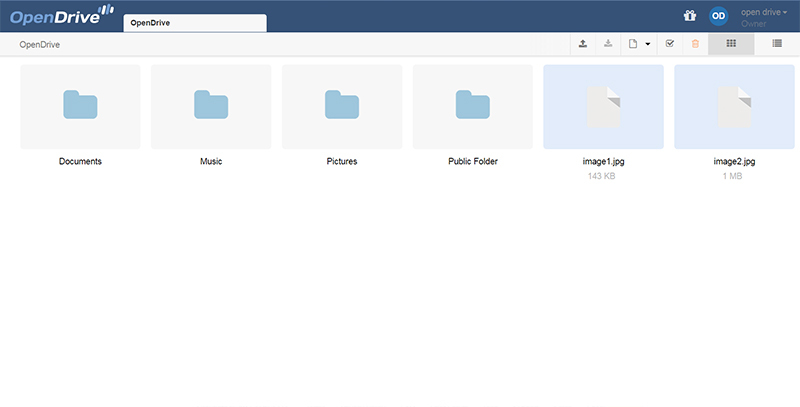 I know SaberCatHost allows hosting folders of files. However, if you are looking for something that extends your Windows computer adding more storage remotely into Windows 7/8/10, I do not believe there is any service in existence that does that. Your best bet for that is an external hard drive.